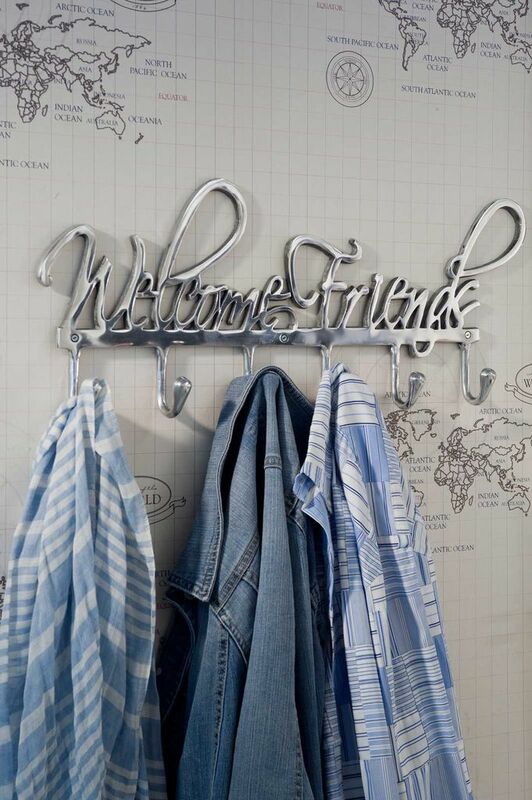 Invite loved ones into your home with the stylish Coatrack Welcome Friends. 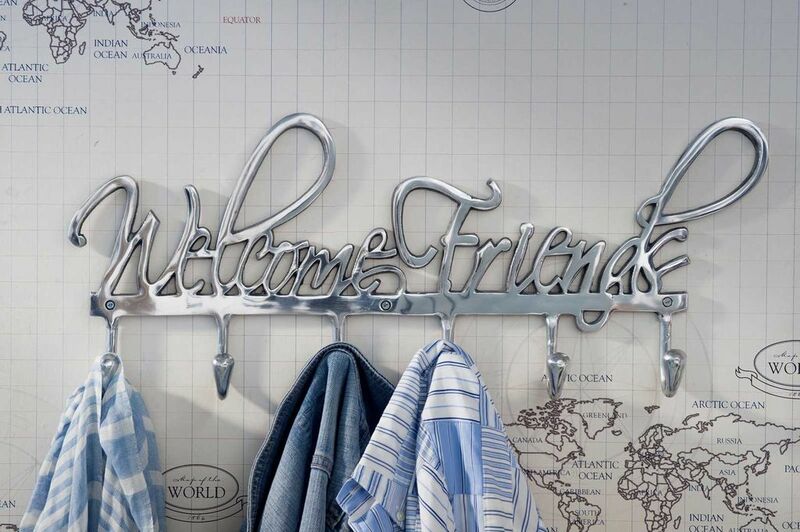 An aluminium piece with six hooks and ‘Welcome Friends’ text. 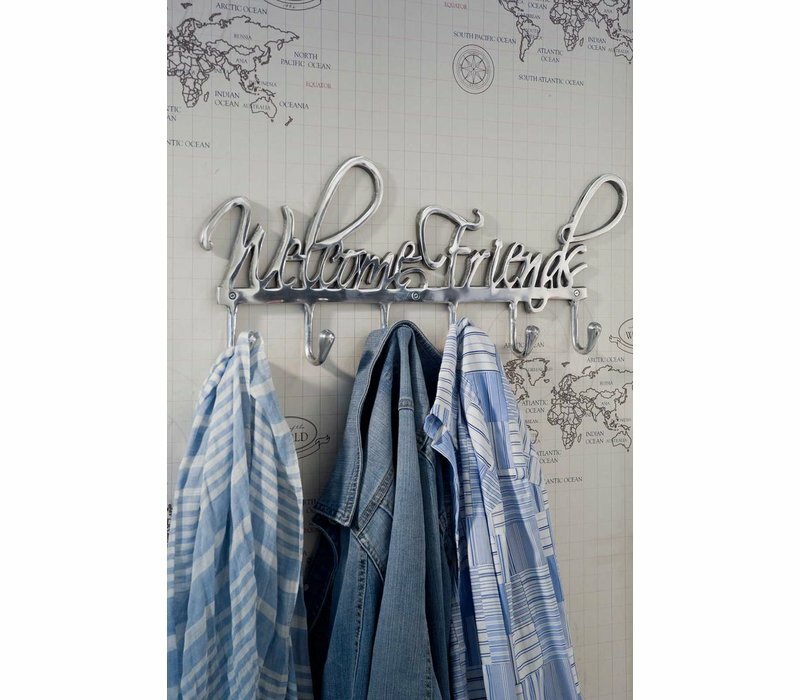 61cm width, 4cm depth, 25cm height.